Save electricity with our dusk to dawn smart lamps. This lamp incorporates an electronic ballast and a inbuilt light sensitive photo sensor to switch on the lamp at night when it is dark and off in the day automatically. 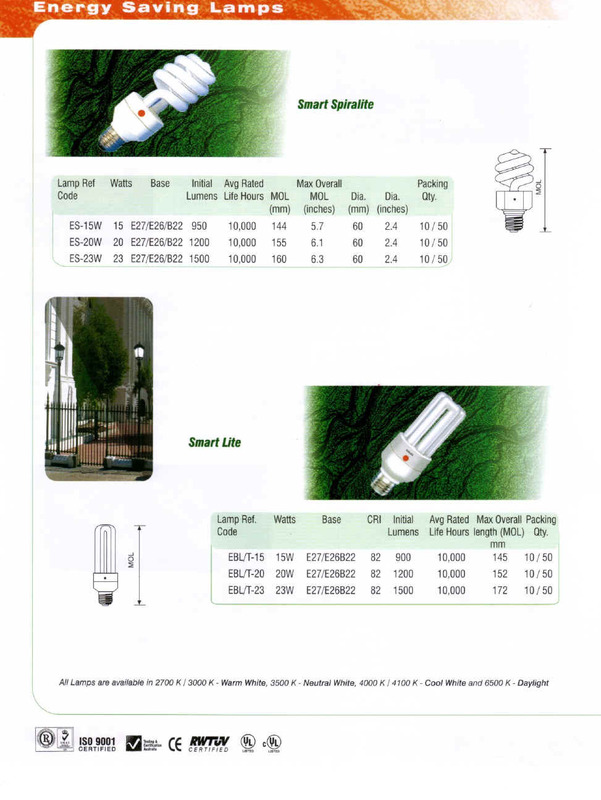 In this way, substantial savings in electricity and lamp life can be achieved compared to manual and timer control. Existing lighting can be easily relamped with these smart lamps. Contact us for promotion launching prices. Suitable for Exterior lighting like Post Tops, Garden lights, Roadway, Area and Security lighting in Parks, Factories, Condominiums and Homes. Please note that these lamps are not suitable for areas where spill over light from other fixtures might activate the sensors.